Actor Jo Jung-suk and singer Gummy are getting married this fall. Sources say that both families are discussing a date. 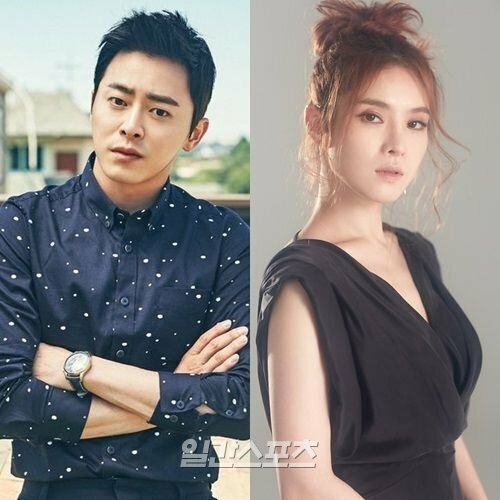 Jo Jung-suk and Gummy have been official for a while. They met in 2013 and have been together for 5 years. Music brought them together as Gummy is a singer and Jo Jung-suk is a musical actor. They have openly spoken about each other, keeping their relationship in the public eye. When he was awarded the Grand Prize at the MBC Drama Awards last year, Jo Jung-suk said, "To Gummy, who watched "Two Cops" with great joy. Thank you". A month later in an interview he said, "Many people ask if we're going to get married, but when the time comes, we'll think about it. It's a delicate matter". Jo Jung-suk debuted in 2004 with the play "Nutcracker Doll". His popularity rose with the movie "Architecture 101" and starred in more movies and dramas such as "The Face Reader", "The Fatal Encounter", "My Beautiful Bride", "The King 2 Hearts", "Oh My Ghostess" and "Incarnation of Jealousy". He's a multi-actor who also appears in musicals such as "Spring Awakening", "Hedwig" and "Amadeus". Gummy released her first album "Like Them" in 2003 and has several hit songs like, "If You Return", "We Should Have Been Friends", "Adult Child", "I'm sorry", and "You Are My Everything". "Jo Jung-suk and Gummy to Marry This Fall"